I am always on the lookout for fun gift wrapping ideas. Especially ones that use my favorite butcher or craft paper! 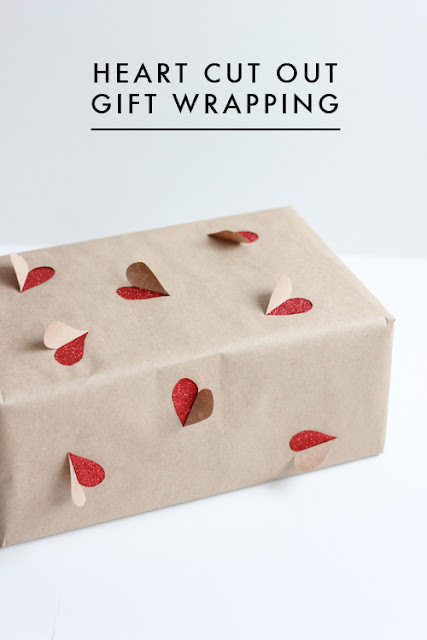 This fun heart cut out gift wrap from The House That Lars Built was super popular on Pinterest right before Valentine's Day. Hearts are pretty universal, so you can easily use this idea year round, but I thought I would look for some other examples of this fun cut out wrapping paper trend. 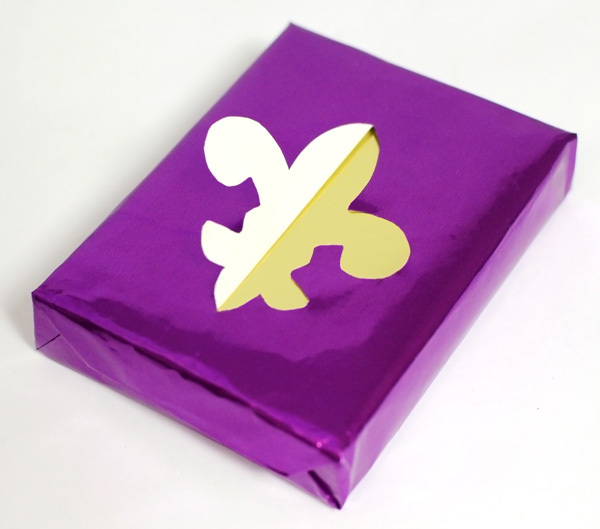 Mardis Gras has also passed, but this fluer de lis cut out wrapping paper from Mardi Gras Outlet could still be used for wrapping a gift, maybe in something other than gold and purple paper. There is even a template to make it super easy to replicate! High on DIY used both squares and flowers in their DIY cut out paper gift wrap. 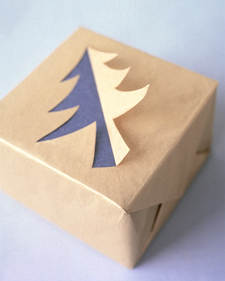 And Martha shared this Christmas tree cut out wrapping paper idea back in the 1994 edition of Martha Stewart Living! 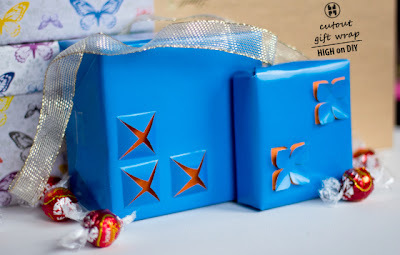 Such a fun idea that could be easily executed in a ton of fun symmetrical designs!